Earn $8.25 in Rewards credit (825 points) What's This? 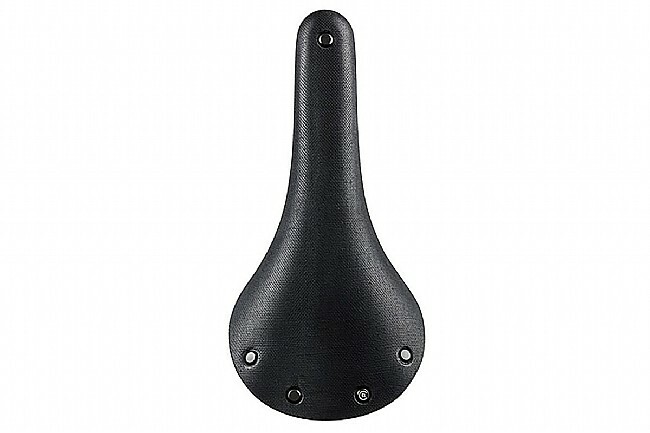 For those riding on the rivet, the C13 Cambium Saddle combines Brooks' racing heritage with a one-piece carbon frame for a saddle that's as fast as it is stylish. 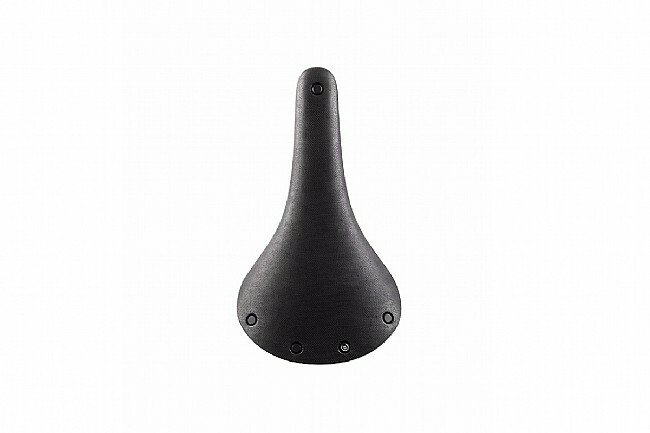 The continuous carbon rail and aluminum rivets help shave 150 g off Brooks' wider C15 Cambium saddle, bringing the C13 down to a claimed 259 g.
With a base made of vulcanized natural rubber and a cover made from treated organic cotton canvas instead of leather, the C13 Cambium is ready to go right from the start. It can stand up to the abuses of racing in all conditions, without ever needing conditioning or tensioning. 275 mm long x 132 mm wide. 9 mm oval carbon rails. Claimed weight is 259 g.
I have 5 Brooks Saddles. B17 TI, (2) Swift TI, B15 Swallow TI and now a C13 Carbon. I love all of them. Each has its special characteristics for the purpose I use them. I have over 800 miles on this saddle. I recently moved my Swallow from my road bike to my cyclecross bike and installed my new C13 Carbon on my road bike. A Bianchi Sempre. The C13 Carbon does fell different, a lot firmer but gives when you set back and plant your rear end firmly on the back part of the saddle. I have a tendency to ride forward when I am pushing a lot. One nice thing is you dont need to worry when it rains. You dont proofide this one like you do the leather saddles and you dont need a cover for the Swallow which is a thinner leather and can warp when wet. You try this saddle you will like it if you like one that is light and stiff yet gives a little when needed. I will say when I went to install it on my FSA K-Force seatpost, which is a two bolt design, I had my concerns with the Brooks carbon rails. The carbon rails are thicker than the TI and chromoly rails so fitting them in the seatpost bracket was very tight. So tight you cant just push them in place. You have to pull them in while torqueing the seat bolts. The process did not cut the outer layer of carbon. They just fit really tight. All is good and I really like this saddle. Just to let you know I am not a weightwenie. I bought this saddle for it function and comfort. You wont be sorry. Give it a try. Comparison in weight. Swallow TI 370 g (13 oz), C13 Carbon 259 g (9 oz). Disclaimer This is a saddle review so this is a personal perspective. I have experience with brooks swift and b17 saddles on bikes with more upright positions. On my road racing bike, I ride saddles like fizik antares and fabric scoop shallow, which are mostly flat with a slight hammock profile front to rear. The C13 cambium is not like any of these saddles. Its profile looking from the back of the saddle is round, not flat. From the side the saddle is dead flat. I tried the C13 cambium for 120 miles, adjusting different angles and positions, and it was not working for me. The pressure points weren't working but also this thing is firm! 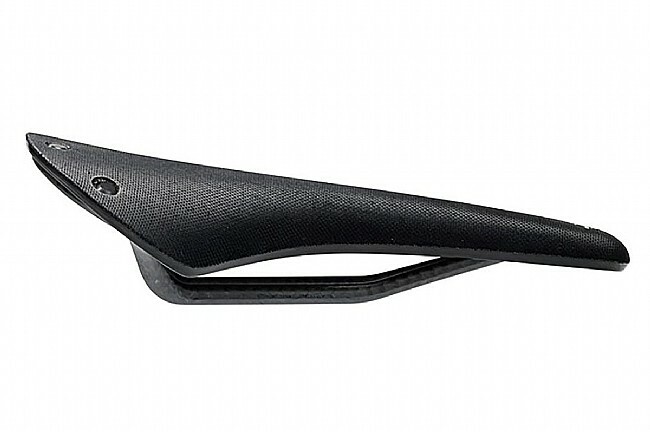 The C13 is an aggressive saddle. It looks killer. I wish it worked for me. The price at Western is solid and the c13 seems a really good saddle with a sleight weight penalty at its price point. I returned mine to the store and the staff mentioned that these saddles take a very long time to break in. 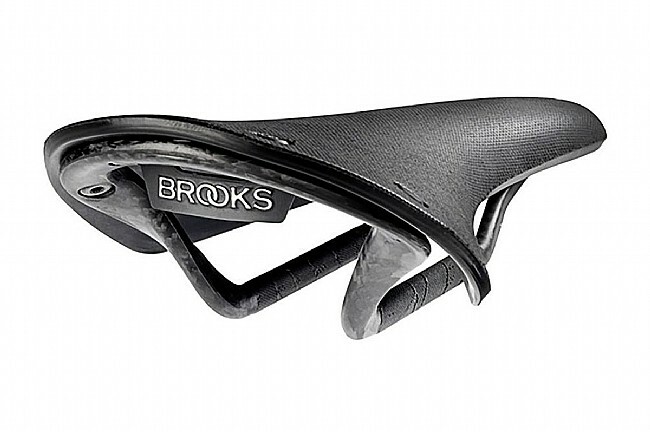 Lightweight, race-ready saddle with Brooks comfort. The C13 is a fantastic edition to the Cambium line. With a carbon frame and rails, the C13 is lightweight and the saddle width more narrow ('racer') than the other Cambium saddles. I have a C15 as well and would recommend both, although for different reasons. I have had no problems with the C13 and am very happy with the purchase. This saddle straight out of the box feels nearly as good as my Brooks Colt which I purchased new in 1988. I hope to find the same durability with the C13 Cambium. Quality is amazing. Cover is stiffer than the C15 carved it is replacing. I purchased this to replace a C15 carved on a bike that I wanted to have a little firmer saddle. This fits the bill. The 145 width does seem a little narrower than the C15, but that could be in my head. With only a few rides, I like it. It does seem stiffer than the C15. I will keep the C15 and put it back on for longer, gravel oriented races. Started the cambium love affair with a c17, best ever. Only problems is if you are a clydesdale when climbing in the saddle and bouncing the rubber rubs on the rail with an annoying squeak. Solved with this saddle as the rail has more clearance. Also if you are a clyde avoid the carved saddles as the rubber flexes more and can squeak. All the cambiums are great and this one is lighter, what's not to like?